Total Built-Up Area - 3,192 Sq.ft. This is quite a large house floor plan with three large bedrooms on the ground floor. This layout is best suited for large plot size, but still it can work well for plot size of 70 ft x 44 ft. The floor plans does include three toilets for maximum comfort for the family. 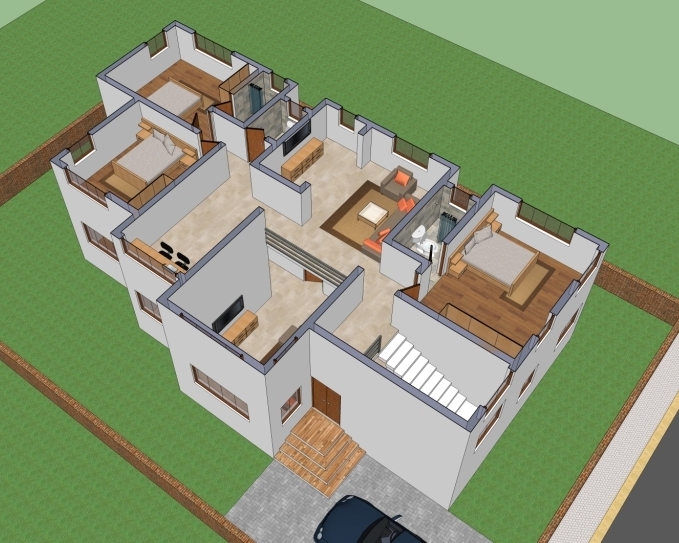 This floor plan includes a formal living room, dining space, kitchen with attached store and pantry room and common toilet. 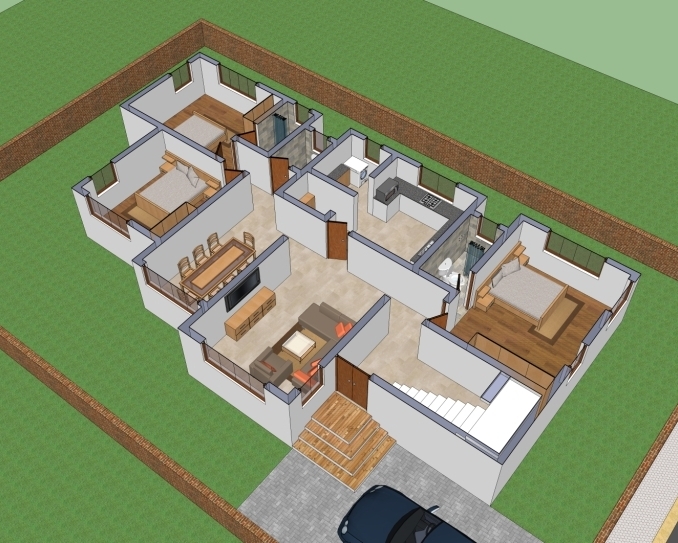 The floor plan also includes an upper level which makes it quite a large house plan design. This floor includes another 3 bedrooms and 3 toilets as similar to what's there on ground floor. Overall this linear house floor plan makes all the sense for a large family.